I heard there was something interesting coming in March. Something that would definitely divide opinion. i heard something before the summer and it won't be called the c-70 as that brings up imagery of a geriatric road bike. So maybe C65 or C69 etc. Well they have the C60 disc out. V2-r and even a V2-r disc out. No-one gives a monkeys about cross bikes come Feb so.. C60 update would be the only genuinely hype thing they could do then. Would love to see that. Edit: oh wait.. maybe just the new 2018 Emirates team colours. Mr Colnago birthday is on February 9 so what a better gift than to present a new model? Unfortunately there is no confirmation of the name yet.. Going by years, should be called the C64. 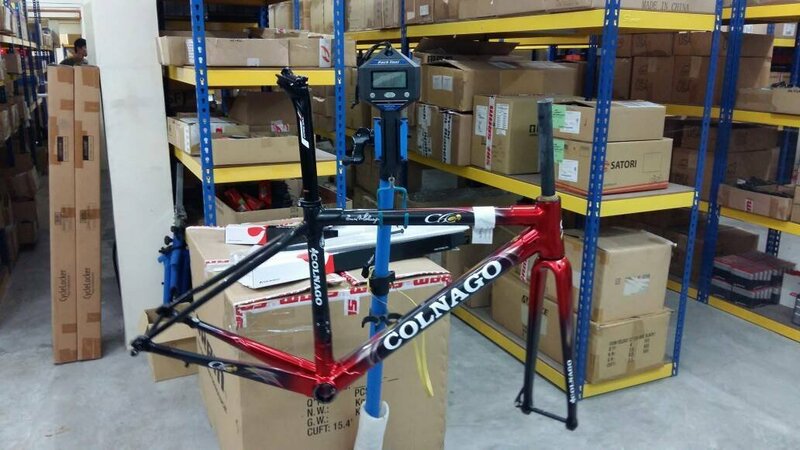 C60 was last "success" for Colnago.. Q is how long they can "ride" on it...(?) Since c60 ( for me ) literally everything released by them was a big disapointment. Including production in far east. Or even beginning from production in far east. Yes, something is coming out of Cambiago on 9th of February! Traditional geometry is ditched .That's an end of an era for us Colnago devotees I guess. Anyway, looking forward to it! Being 5'5 barely. Colnago stopped supporting traditional geometry years ago. Based on what i'm hearing if this is true this is a very minor update. Maybe the direct mount brakes is a welcome change since it makes it more likely that every brand of 25mm tyre works. Would really like to see them go back to BSA bottom bracket but that's a pipe dream. Last edited by fromtrektocolnago on Sat Jan 06, 2018 11:12 pm, edited 1 time in total. I hope it's not the C60 replacement as my just arrived at the retailer. Very interesting news. I looking forward their new paint art. I hope their new work more beautiful than recent years.